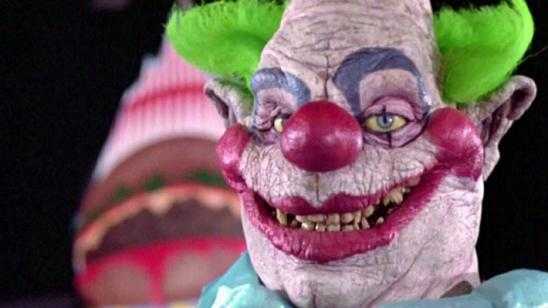 Director Stephen Chiodo‘s Killer Klowns from Outer Space (1988) became a cult classic with its terrific mix of horror, sci-fi, and comedy. 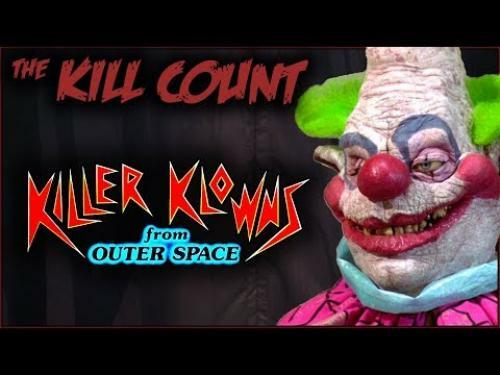 Going into this video I tried to think back and made a rough estimate of how many kills were in Killer Klowns from Outer Space (1988). I came within 4 kills of the total kills in Killer Klowns from Outer Space (1988). This video is somewhat long at about 15 minutes long but is very entertaining thanks to the host James A. Janisse. Thanks to YouTuber Dead Meat for creating and posting this video. Official Synopsis: When a small town is invaded by aliens from outer space who are capturing and killing the townspeople, no one takes them seriously. Why? The aliens all look like circus clowns, use weapons that look clown like, and all have painted on smiles. Only a few of the young people in the town realize the danger and of course no one believes them. Armed with an ice cream truck they try and rescue their friends.